If your name is Dave and you are my brother-in-law you may want to look away now. Or you may ruin the surprise that is due to arrive at your house in a few days. Or you can do like I used to do at Christmas when I was a kid and peek anyway! My niece and nephews on my husband’s side are Jewish. This means I get to be creative for certain holidays during the year. 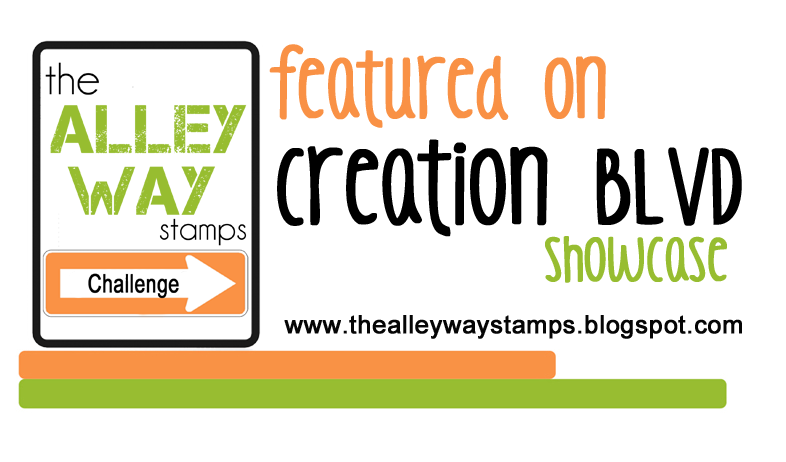 I use my winter stamps to create Hanukkah cards instead of Christmas cards and I send Spring themed cards in place of the Easter cards that my other nieces and nephews get. 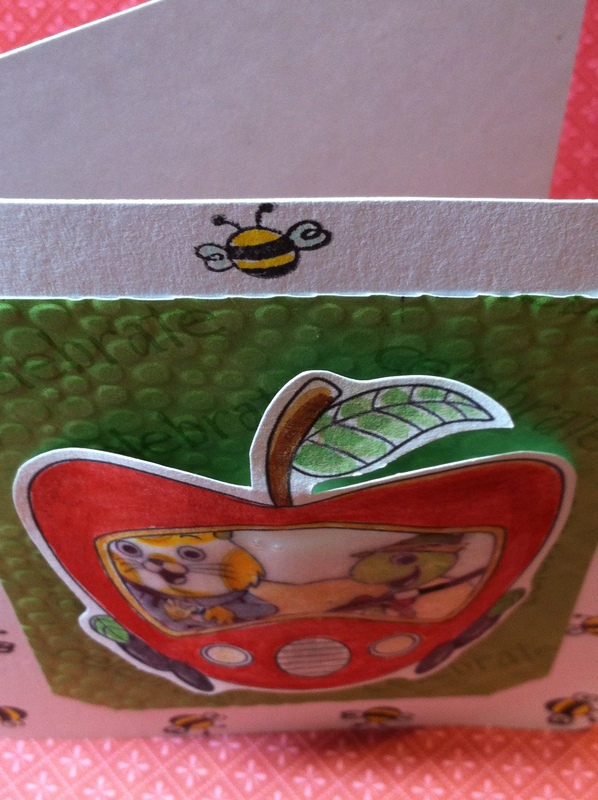 But I recently made cards for one holiday that belongs to Eli, Addie and Sam alone; Rosh Hashana! This first card is for Addie and it was made possible by the generosity of an artist named DragonCid who posts on Deviantart.com. 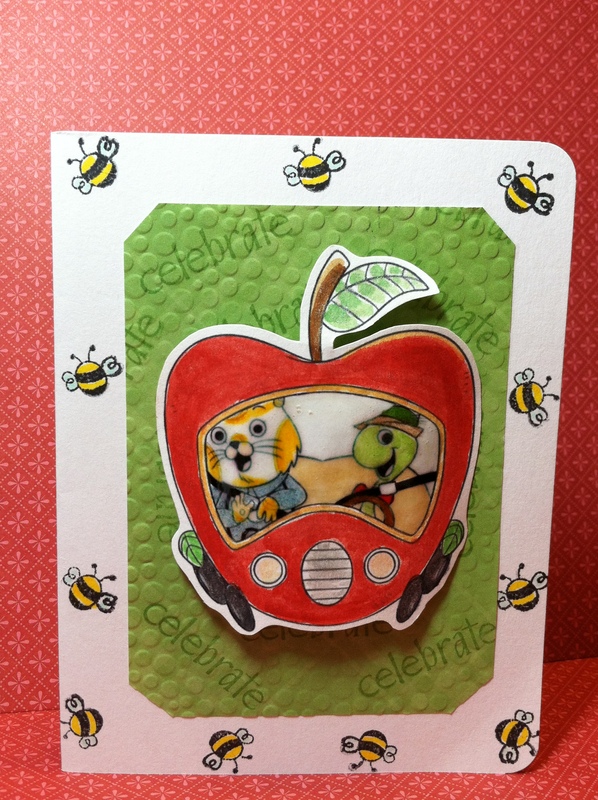 I asked permission to use this cute apple and honey image and DragonCid said yes! 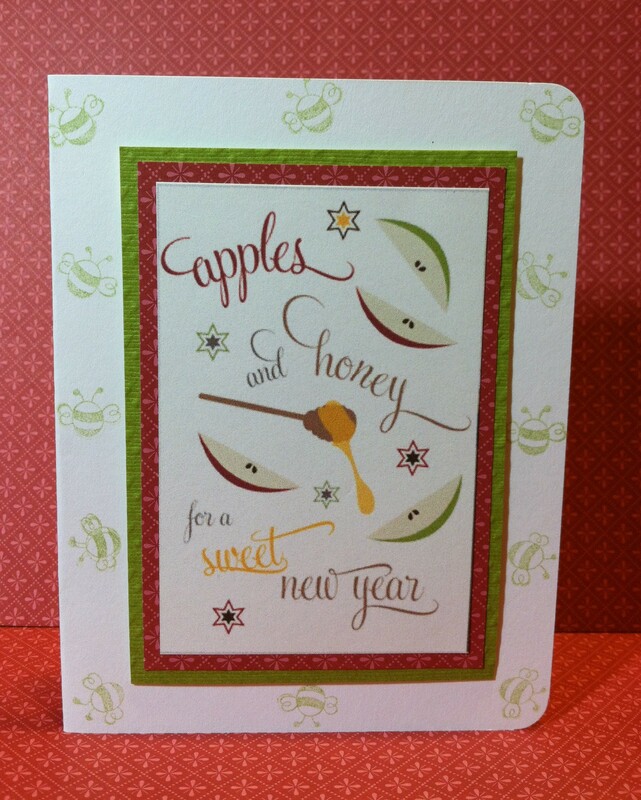 I read that it is part of the Jewish tradition to eat apples and honey on the New Year in hopes of a sweet year. So I took that theme and I ran with it. I just love the cute little face on this apple. That is sweet enough for me. Next up is Eli who loves all kinds of vehicles. Remember these cute characters from Richard Scarry’s, Busytown? Don’t ask my why the worm, who has no arms, is the driver in this image. Maybe the cat has a suspended license or something. Here is a view from the top. You can see that I used larger dimensional stickers in the middle and thinner ones on the sides to create a rounded look for the apple. I also used Glossy Effects to create the windshield. 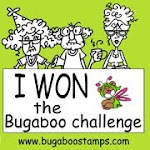 Sam was a bit trickier to create a card for, since he is a 5th grader. I wanted to create something youthful but, not babyish. Sweet but not sickeningly so because, let’s face it, according to the Jewish tradition he will be a man in 3 short years! I think it would be awesome if Sam could grow a cool handlebar mustache 3 years from now but, I think the man thing is more metaphorical or something. Hopefully I found that balance for Sam. And last but, not least, I made a card for Jill and Dave. 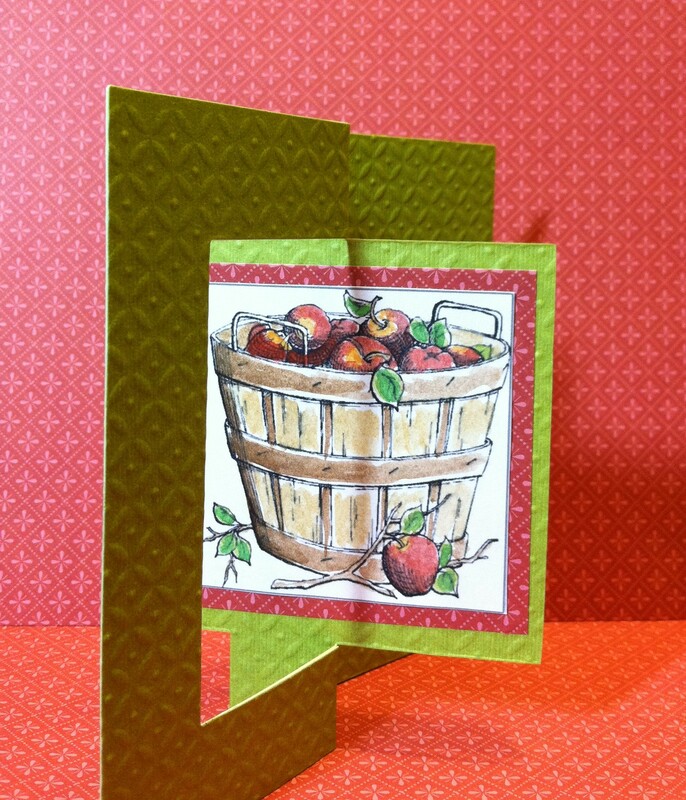 The card is a flip card and they are fun and easy to make if you have the die cut like I do. However, they are kind of tricky to photograph so I hope you get the idea. 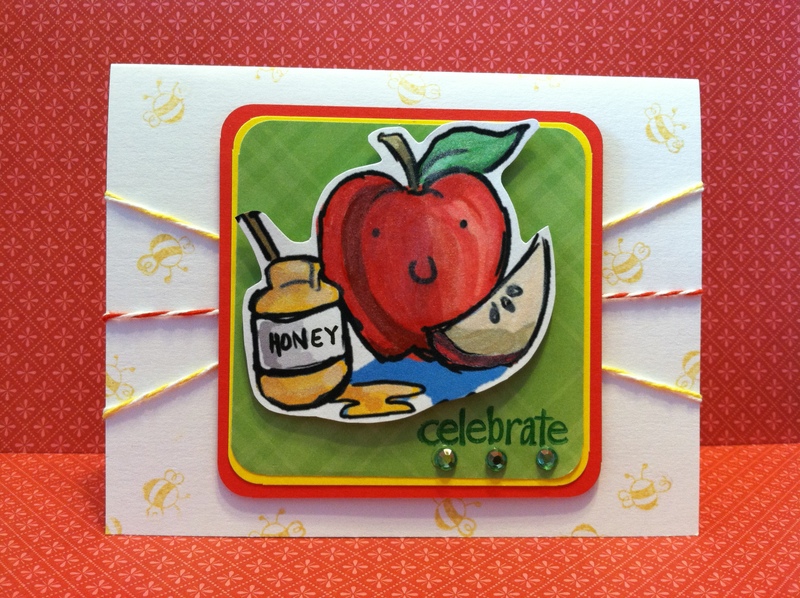 Posted in Any Occasion, Digital Stamps, pop-up and tagged Apples and Honey, Apples and Honey cards, Jewish New Year, Richard Scarry, Rosh Hashana, Rosh Hashana cards. Bookmark the permalink. Maureen — your incredible cards just arrived! Right on time for New Years, too! 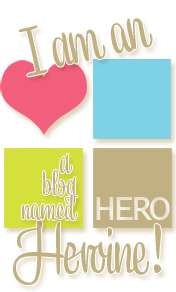 Thanks so much… you’re amazing. 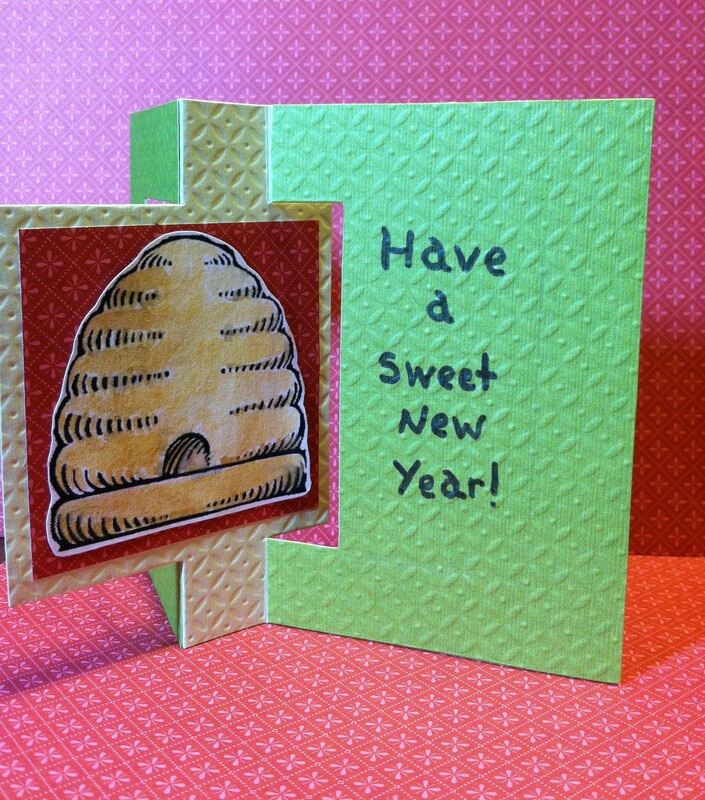 Btw, they were the only New Years cards we got – no Jew or gentile sent us anything put you. So thoughtful! Probably I am the only compulsive card maker/sender you know. I’m glad they made it on time. L’Shana Tovah!